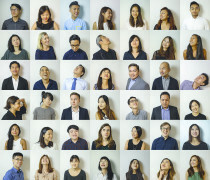 Fimmick is one of Hong Kong’s own success stories, and firmly demonstrated its enduring value by taking gold in the Best Client-Agency Collaboration category this year. The agency has offices in Japan, Taiwan and Hong Kong, and 2016 saw a number of big client wins while boasting impressive client retention numbers at the same time. Its impressive portfolio includes local and global names such as Swire, HKJC, DBS, Revlon, The Body Shop, Marks & Spencer and Microsoft. In terms of campaigns, for WeWa, the agency launched Hong Kong’s first ever fully functional credit card app with a unique instant gift redemption game – “We Shake We Win”. The campaign generated massive increases in new customers, online applications and overshot the KPIs. Staff at Fimmick are welcomed to join the internal “lunch with management” and “dialogue with CEO” programmes where they can chat freely with their superiors on any interesting topics, and join numerous monthly and year-round training programmes. It also promotes a healthy work-balance in the company; a tough goal for any agency. BBDO Hong Kong grabbed silver in the Best Client-Agency Collaboration category, and not without good reason – the agency was able to boast a 100% client retention rate, and achieved a whopping 240% profit margin increase; the biggest growth in the office’s 42-year history. Vitasoy’s entire tea portfolio also went to the agency, led by a team of talent from all over Greater China. Notable campaigns over the past year included the Snickers slip-ups, where celebrities “slip up” and make hilarious mistakes due to hunger; and the counter-intuitive “No sugarcoating” for Vita, where it challenged competitors’ claims and turned them on their respective heads. WPP’s Ogilvy & Mather won a very respectable bronze in the Best Client-Agency Collaboration category, primarily due to its long-standing relationship with KFC, which resulted in edible “Finger Lickin’ Good” nail polish that tasted like the iconic chicken. The project generated an advertising value of over HK$5 million, with hundreds of press covering the campaign both locally and around the world. In 2016, Ogilvy & Mather named Katryna Mojica as chief executive officer for O&M Hong Kong. Under the new leadership, the company confronted social media further with a new point of view and an action plan for clients. The results of its moves were reflected by the major wins of Asia Miles, The North Face, Wing Tai Asia, Ceylon Tea and Lesso. Other key clients are Rolex, Ford, Yum!, BlackRock, Nike, Huawei, The Langham Hotels and Resorts, Nestlé and Eu Yan Sang. Hong Kong’s very own CMRS comfortably made it onto the shortlist for Best Client-Agency Collaboration. Over the past 12 months, CMRS signed CSL, MTR and AIA, to name but a few, to add to its already impressive record, which includes Harbour City, Chow Tai Fook, McDonald’s and DBS Compass Visa. Together with Beyond Digital Solutions, CruiSo Digital and Visualution Labs, the agency has operated as a group structure from 2015, providing a full suite of digital solutions to maximise its business opportunities for clients. In terms of staff, CMRS has grown from a team of 10 to a team of 117 in just nine years of business. To facilitate its expansion even further, the group onboarded numerous veterans this year, including award-winning video guru Kaho Yue. Red Fuse Communications was built by WPP for one client: Colgate-Palmolive, leading all its marketing communications – including advertising, media, digital, social, mobile, shopper marketing, and dental profession communications – in one agency. It was founded with staff from Y&R, MEC, Grey Health Group, VML and Wunderman. In Asia, from its regional head office in Hong Kong, and with a hub in Mumbai, the agency leads all marketing for Colgate-Palmolive’s brands, developing campaigns for 16 countries. In 2017, Red Fuse added Australia and New Zealand to the roster. Throughout 2016, Red Fuse Hong launched more than 60 campaigns, and the majority of them were fully integrated. Two key integrated campaigns were the Colgate scholarship campaign and the Colgate fresh confidence campaign. The film tells a true and heartfelt story of how former national footballer, Nidzam Jamil, rose to the challenge despite facing mu..